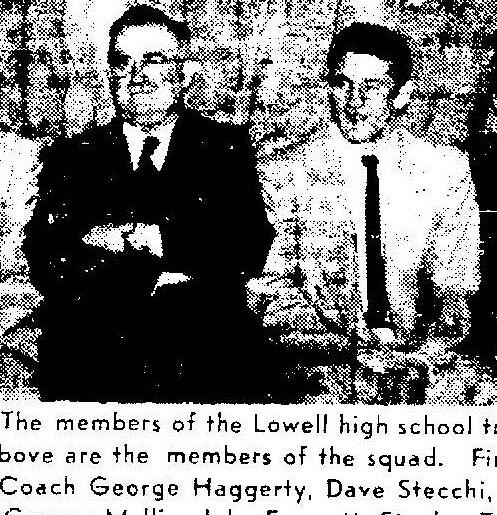 One at the truly dynamic football/track athletes of the early 1950’s, Dave Stecchi carved a niche for himself in the annals of Lowell High School Athletics. 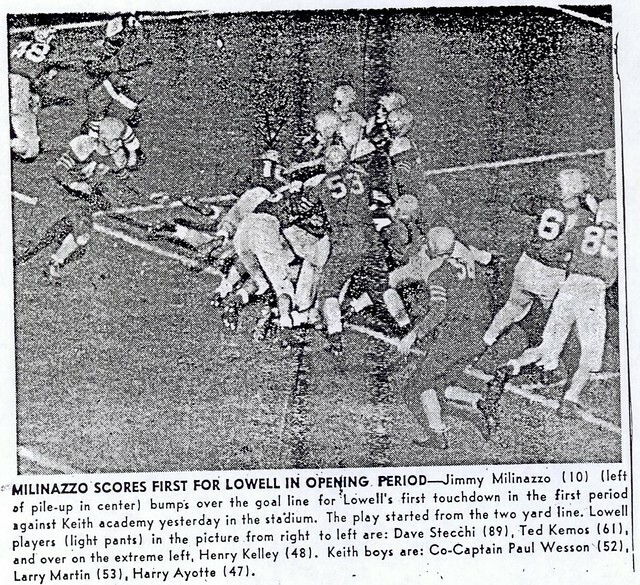 A dominating two-way end, Dave was one of the mainstays of Coach Ray Riddick’s undefeated state championship elevens in 1952–1953. 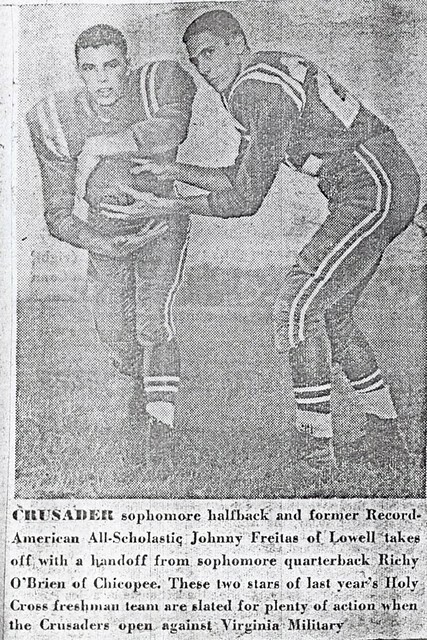 A consensus All-Scholastic, Dave also earned High School All-American Honors in 1953 as a senior. 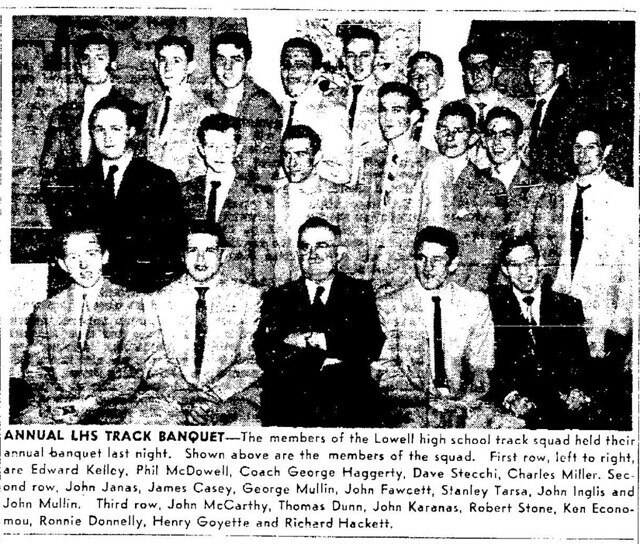 Dave was just as impressive a performer for track Coach George “Mike” Haggerty. 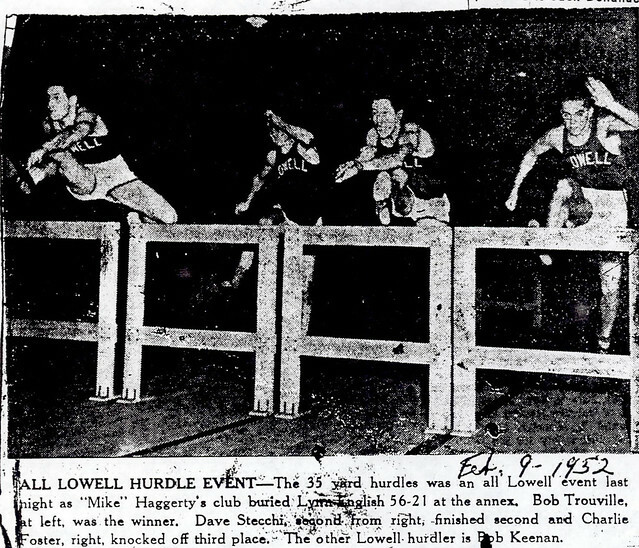 A superb all-around track athlete, Dave’s primary event was the high hurdles. 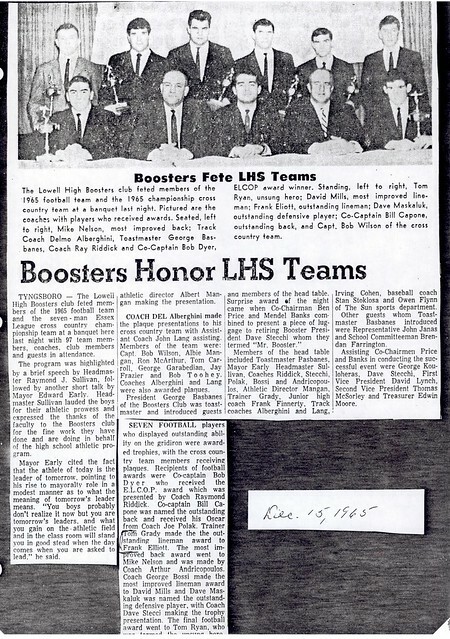 Indoors he was undefeated in the 40–45-yard hurdles for 2 1/2 years and consistently placed in major statewide competitions. 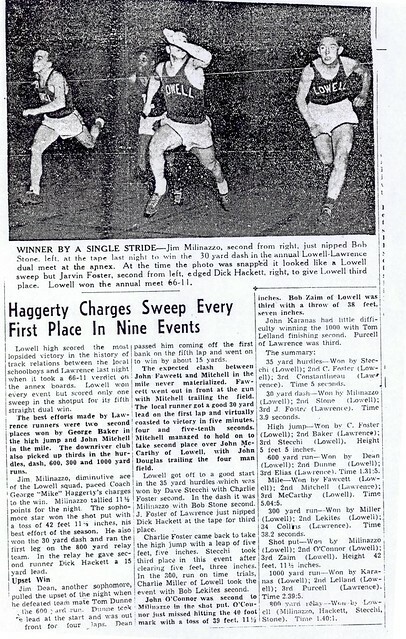 Outdoors Dave won a state championship in the 120-yard hurdles as a sophomore in 1951. 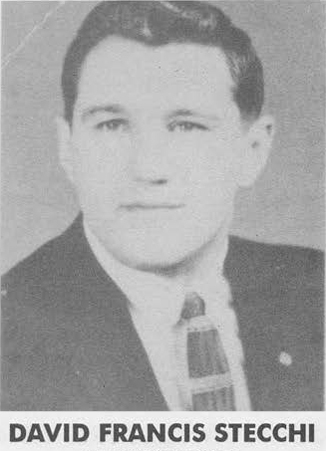 Additionally, he compiled a string of 35 consecutive dual meet victories. 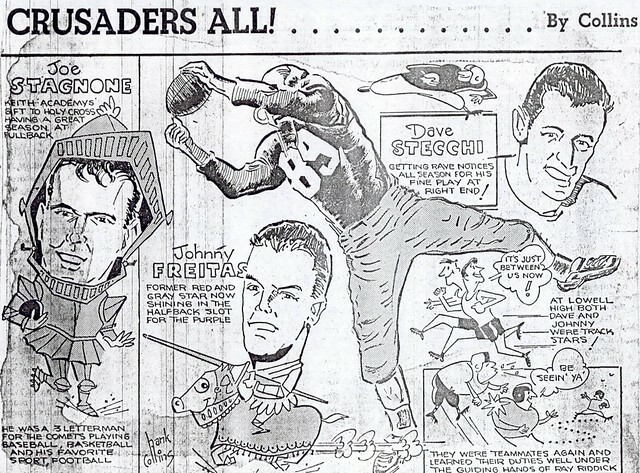 After graduation, Dave attended Fordham University, where he was a key member of a powerful freshman gridiron squad. 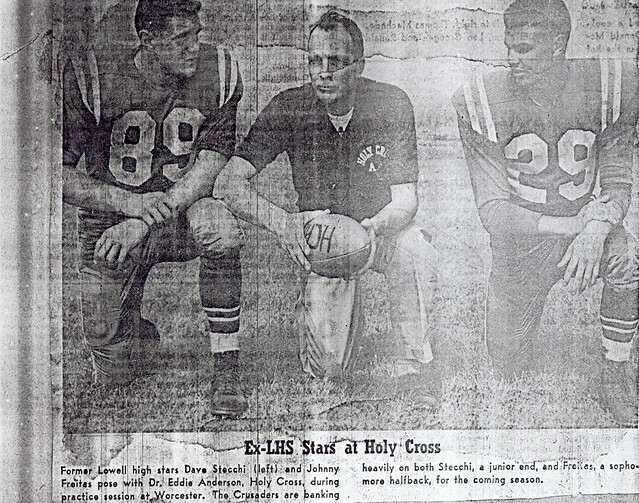 When the Rams dropped the sport, Dave transferred to Holy Cross where he eventually was joined by high school teammate John Freitas. 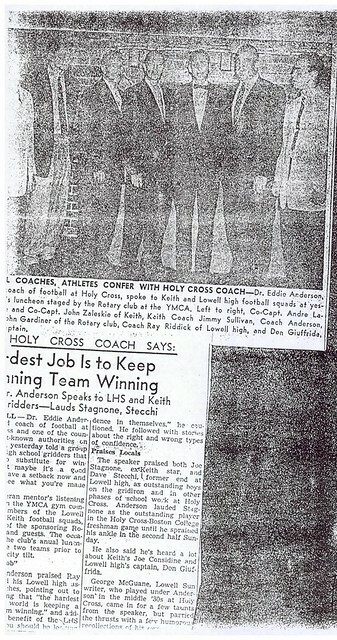 At Holy Cross, under Coach Eddie Anderson, Dave was a three-year varsity end. 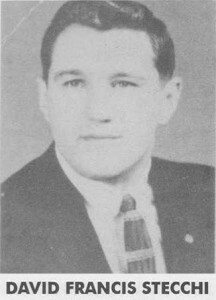 Dave consistently earned All-New England and All-East honors and culminated his career by being selected as an Honorable Mention All-American as a senior in 1958. 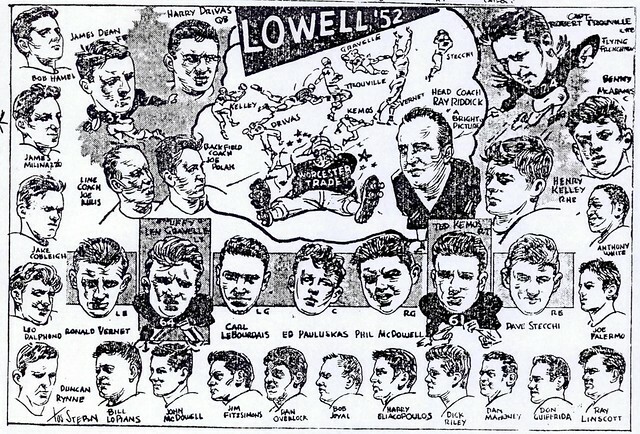 Dave returned to join Coach Ray Riddick as a valued Assistant Coach at Lowell High School, then worked as an Assistant Coach at Dracut High School under Lowell High’s Hall of Fame Member Ed Murphy before succeeding Ed as Head Coach of the Middies in 1994. 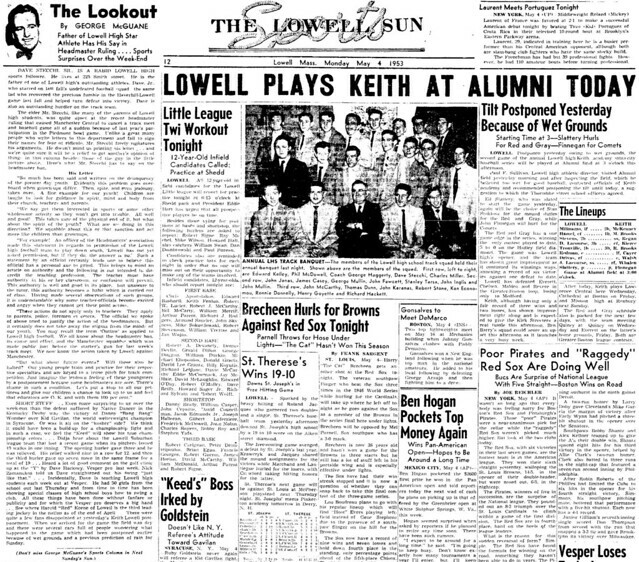 DRACUT — David F. Stecchi, 76, a well known resident of Dracut, died Saturday, January 7th at his home after a lengthy illness. 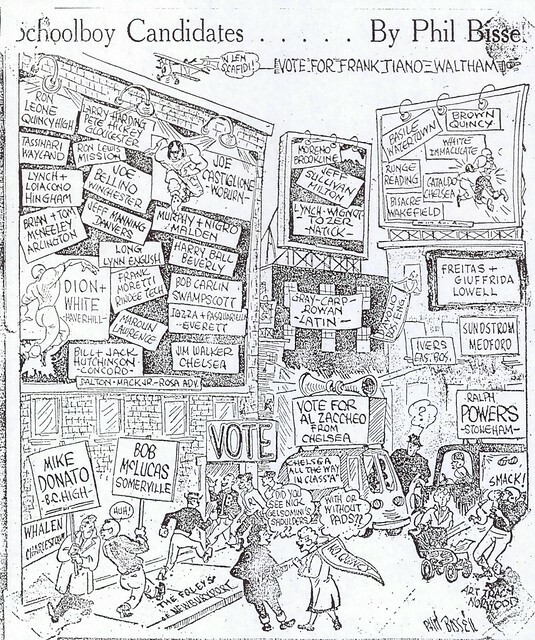 He was the husband of Dr. Janice M. (Horman) Stecchi with whom he celebrated their 52nd wedding anniversary on June 13, 2011. 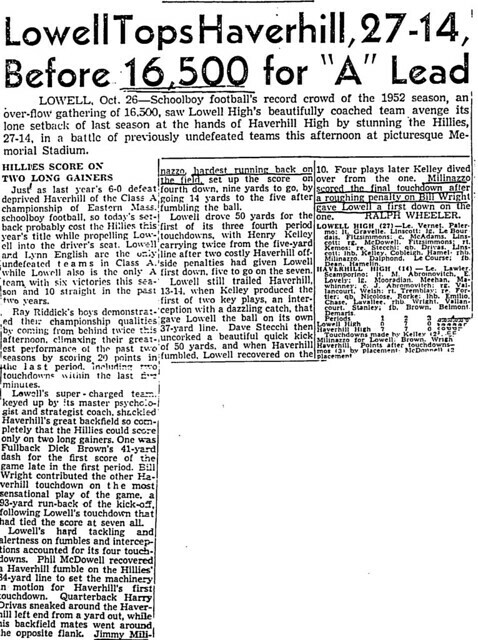 Born in New York City, April 4, 1935, the son of the late David J. and the late Helen D. (Kuszek) Stecchi, he attended Lowell schools and was a graduate of Lowell High School in the Class of 1954. 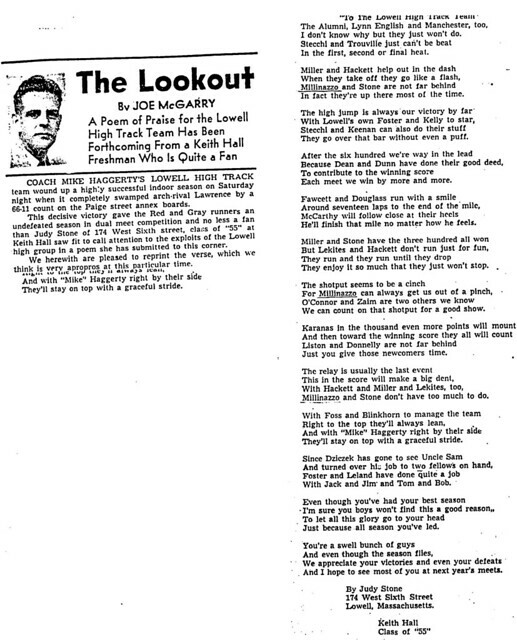 He then went on to graduate from the College of the Holy Cross in Worcester, Massachusetts and received his Masters Degree in Education in 1966 from Salem State College in Salem, Massachusetts. 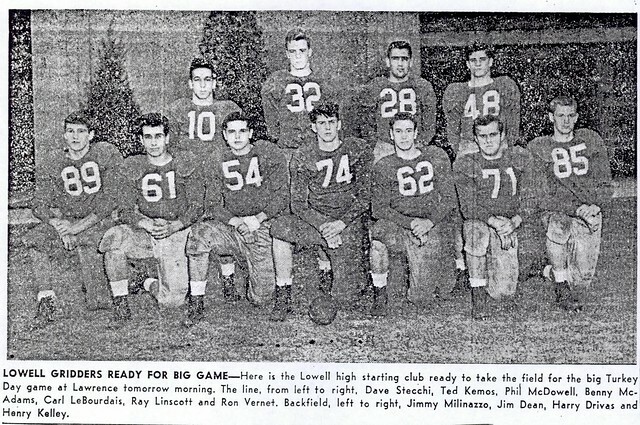 Dave proudly served as a Lieutenant in the U.S. Marine Corps and was a member of the undefeated 1959 Marine Corps football team at Quantico in northwest Virginia. 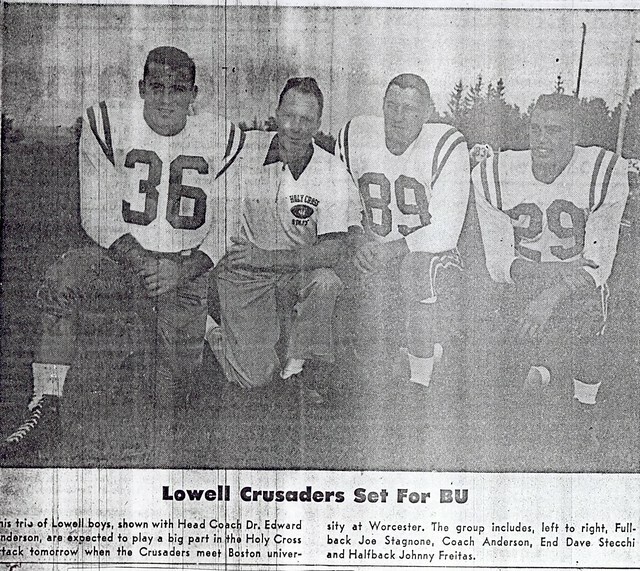 Before retiring, Dave was a teacher and coach at Dracut High School where he taught business, history, civics and drivers education for over 35 years. 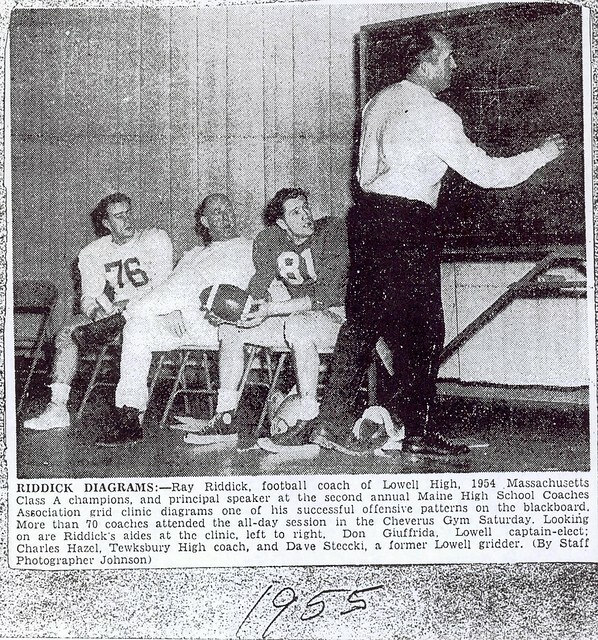 He was Head Football Coach at Dracut High School from 1992 to 1997, Assistant Coach at DHS from 1968 to 1991 with Coach Edmund Murphy and was Assistant Coach at Lowell High School from 1963 to 1967 with Coach Ray Riddick. 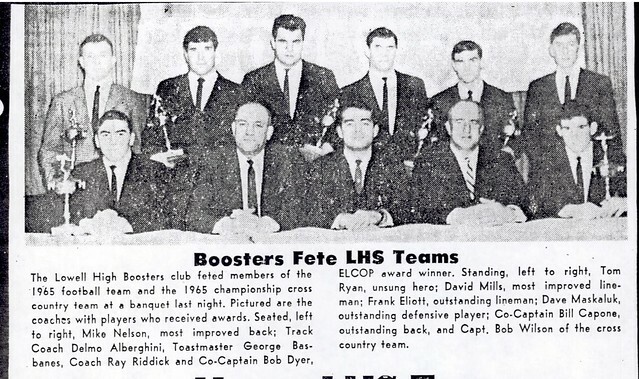 In addition, he was Head Coach of the DHS Spring Track Team at DHS from 1964 to 1998. 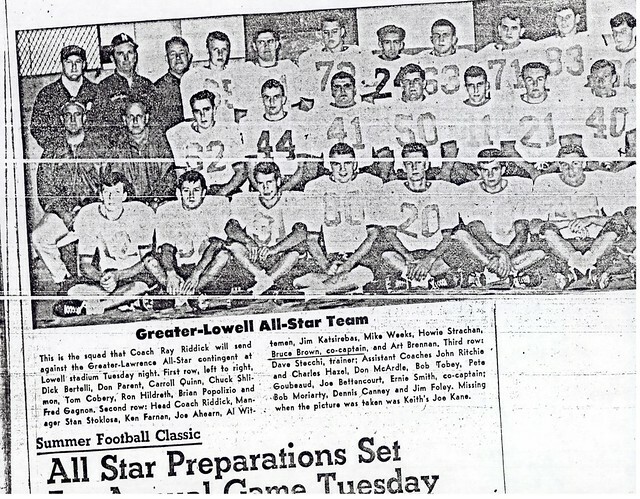 He was a founding member of Dracut Pop Warner football. 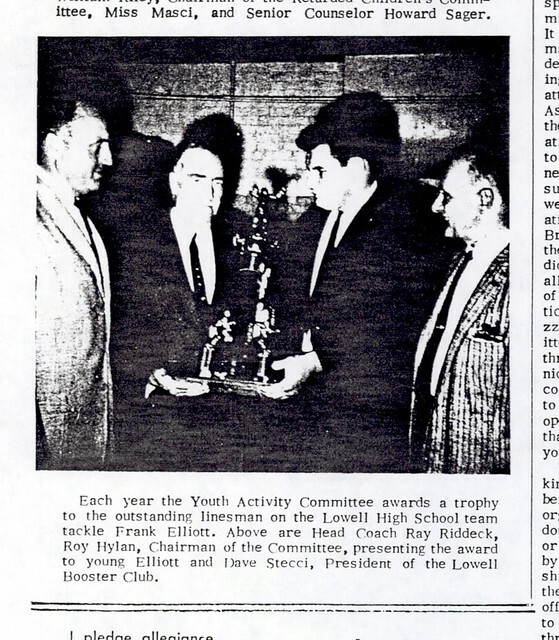 He also worked as a football and track official and was an Ambassador and Mountain Guide at the Sunday River Ski Resort in Newry, Maine. 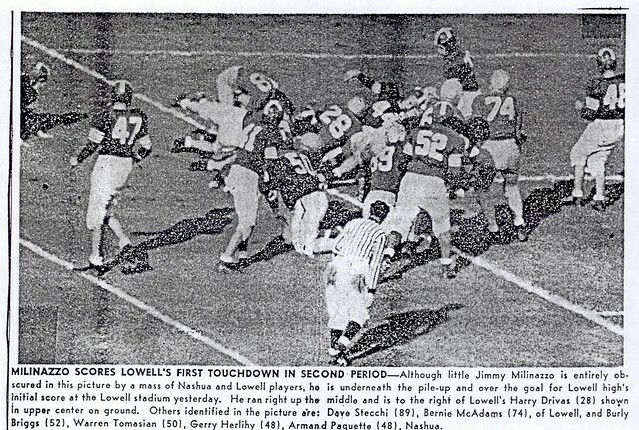 In 1995, he was inducted into the Lowell High School Hall of Fame for football and track and in 2008 he was inducted into the College of the Holy Cross Football Hall of Fame. 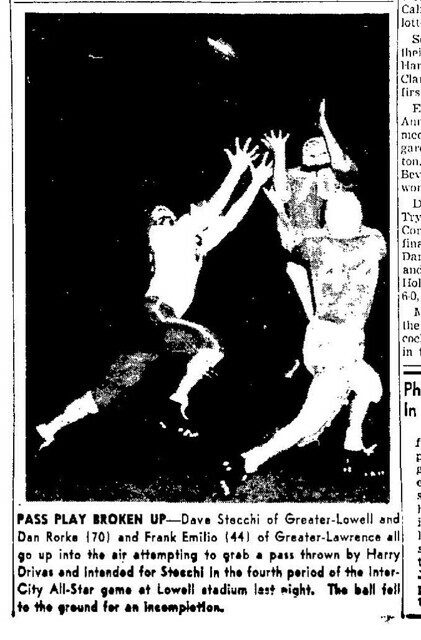 In addition to his wife Janice, Dave is survived by three sons David F. Stecchi, Jr. of Dracut, MA, William J. Stecchi and his wife Linda of Hampton, NH and Joseph D. Stecchi and his wife Leslie of Portland, ME; a grandson Jack T. Stecchi of Hampton, NH; two step-granddaughters Haley and Drew Etskovitz of Ashland, MA; a sister Helen S. Carver and her husband Norman R. Carver, Sr. of Dracut, MA; a niece Dawn C. Jubinville and her husband Roger of Dracut, MA; a nephew Norman R. Carver, Jr. and his wife Samantha of Dracut, MA; and several grandnieces, grandnephews, great-grandnieces and great-grandnephews and many cousins. 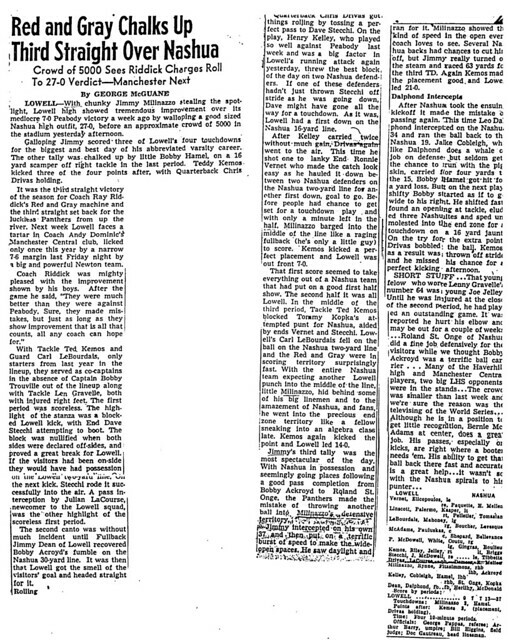 He was also father of the late Thomas J. Stecchi. STECCHI — In Dracut, January 7, 2012, at home, David F. Stecchi of Dracut, husband of Janice M. (Horman) Stecchi. 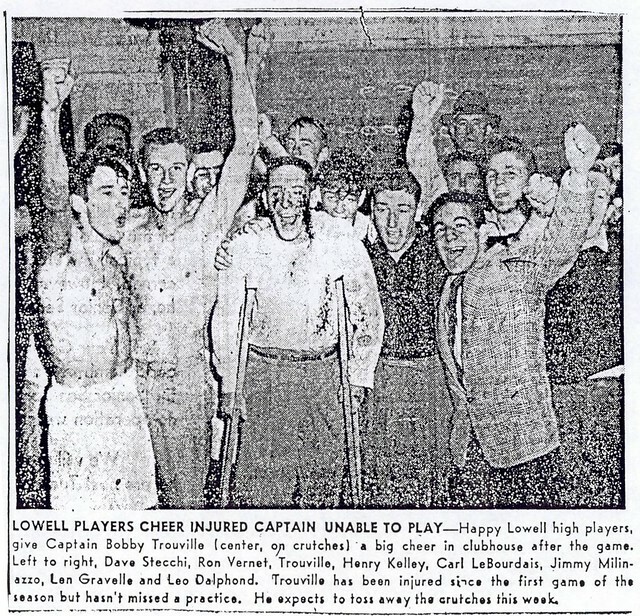 Friends may call at the O’DONNELL FUNERAL HOME, 276 PAWTUCKET ST. at Fletcher in Lowell from 3 to 8 P.M. Tuesday. His Funeral will take place from the Funeral Home Wednesday afternoon at 12 o’clock followed by a Funeral Mass at the IMMACULATE CONCEPTION CHURCH (Lower Church) in Lowell at 1 o’clock. Burial in St. Patrick Cemetery. 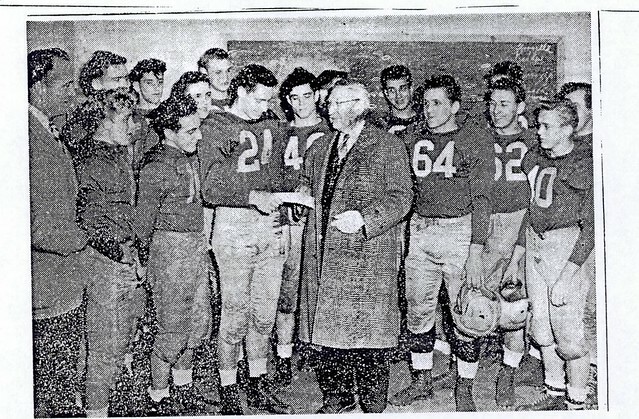 Those wishing may make contributions in his memory to the College of the Holy Cross Athletic Department, 1 College St., Worcester, MA 01610. E-condolences/directions at www.odonnellfuneralhome.com. Arrangements by Funeral Directors John W. Crane and James F. O’Donnell, Jr. (978 or 866) 458-8768.